KBase power user and University of Nebraska-Lincoln doctoral student Mikaela Cashman has created a Narrative showcasing the BioSIMP workflow (Biological Sampling, Inference, Modeling, and Prediction) that models and predicts the behavior of organisms. Based on phenotypic response to combinations of environmental factors BioSIMP uses software testing techniques to sample, classify the results to infer influential features, and build process models based on these inferences. This information can be used to predict future behavior of biological systems. The workflow in this Narrative is being refined to allow KBase users to run the BioSIMP tools as Apps. KBase has implemented a new, simpler sign-in system. Users who already have KBase accounts will need to navigate Globus’s new authentication process the first time they log in after the switchover to convert their existing account to the new system. After completion, you’ll be able to sign into KBase with your existing account or your Google account, if you choose to link it to your KBase account. 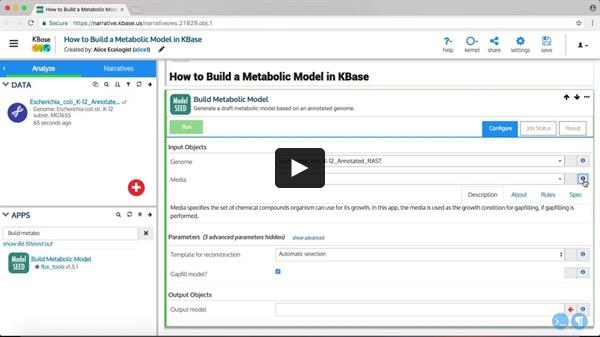 This new tutorial video is the first in a series on metabolic modeling and demonstrates the basics of using the KBase Build Metabolic Model app. 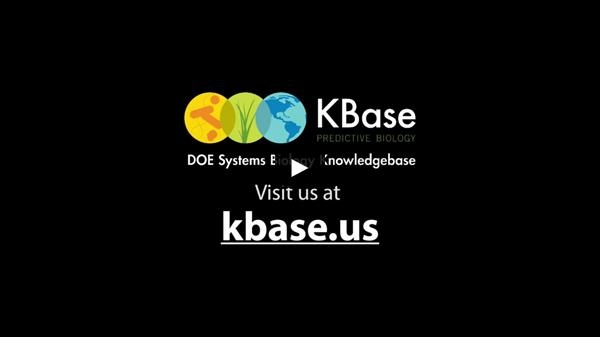 KBase has a suite of Apps and data to support the reconstruction, prediction, and design of metabolic models in microbes and plants. These tools can help advance efforts to optimize microbial production of biofuels, find the minimal media conditions under which a fuel is generated, or predict soil amendments that improve the productivity of plant bioenergy feedstocks. Our third annual KBase User Meeting was the largest yet, with over 50 workshop attendees. The meeting included talks on the objectives of KBase, discussions about the science that can be accomplished using KBase, interactive tutorials, and opportunities for attendees to ask questions and offer feedback and suggestions. 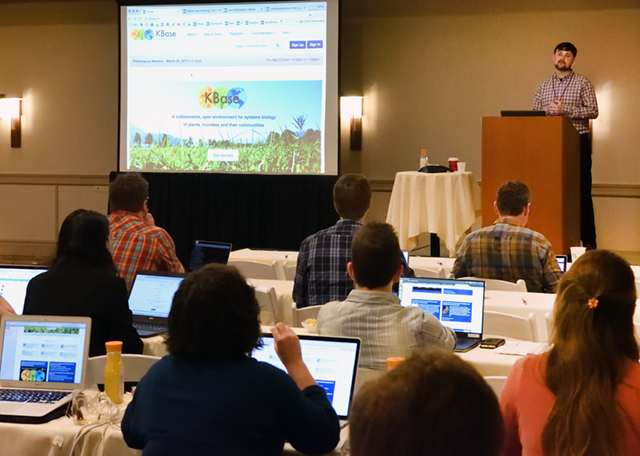 The KBase User Meeting is held annually in conjunction with the DOE Joint Genome Institute’s Genomics of Energy and Environment Meeting. Visit our Publications page to see examples of how biologists are using KBase to support discovery across a variety of subdisciplines. From microbiome profiling to metabolic modeling of thousands of microbes, researchers are using KBase's tools and data to gain new insight into their research.